Jumpstart! French and German presents a wide variety of simple, easy-to-use, multi-sensory games and activities that will jumpstart students’ understanding of modern languages in action. 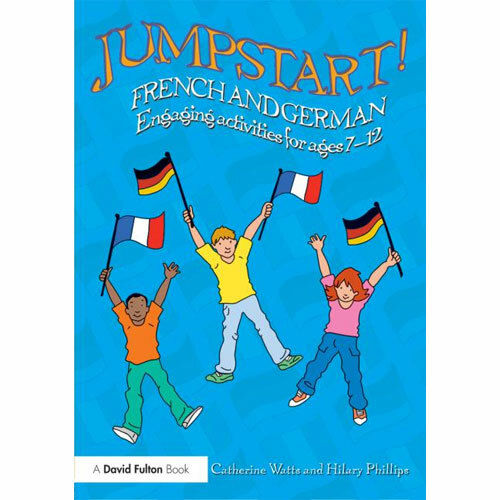 Although examples are given in French and German, you could use the ideas in this book to teach any foreign language to students of any age, although the activities have been developed to particularly suit 7 - 12 year olds. Engage in active learning through a range of varied activities. Jumpstart! French and German has been developed for use with children aged 7 - 12 years (Key Stage 2 and lower Key Stage 3) who are learning either French or German as beginners. There is a good level of support for the non-specialist teacher with examples given in both French and German throughout. This has so many new ideas for games and rhymes. Really useful for my primary school French club.